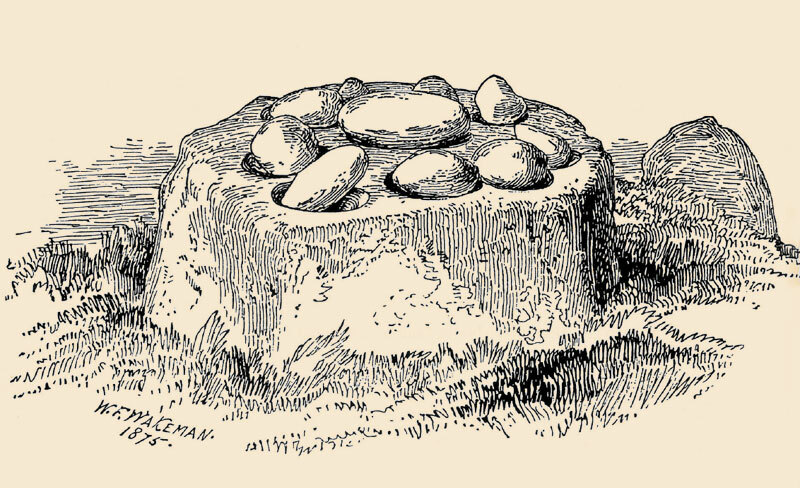 Drag within the image to explore the area of the Killinagh Cursing Stone in virtual reality. The scene begins on top of “St. Brigid’s House. 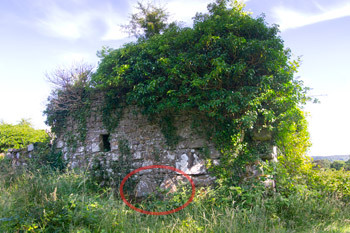 Hotspots will lead to the Cursing Stone and the church ruins. 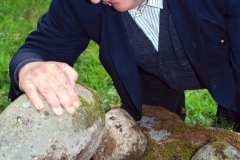 Harold Johnston examines St. Bridgid’s Cursing Stone and makes a surprise discovery. (1998). 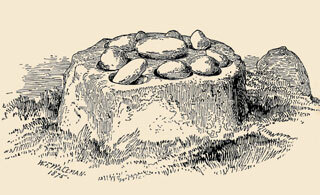 More than a century later, in 1998, it was clear that this old bullaun stone continued to be invoked for its “maledictive” powers. 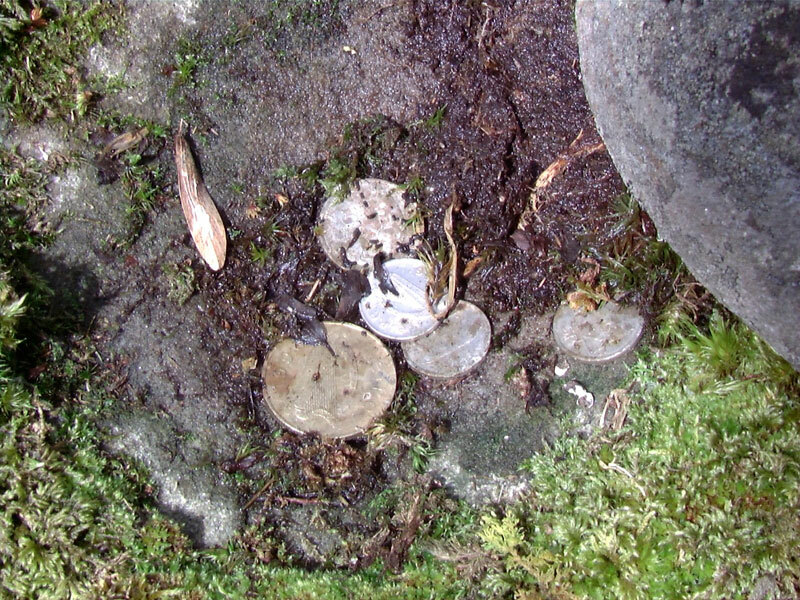 When we lifted the smooth, rounded “cursing stones,” under each of them there was a coin, placed there, no doubt, by the modern-day successors to the “aged nurse” of William Wakeman’s day. 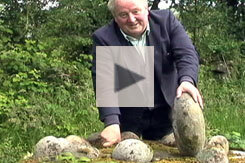 There are two smaller stones next to the large boulder. 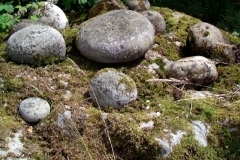 The three stones together have 16 bullauns of different sizes, ranging from 15 to 30 cm (6 to 12 in) in diameter. The largest is known as “St. 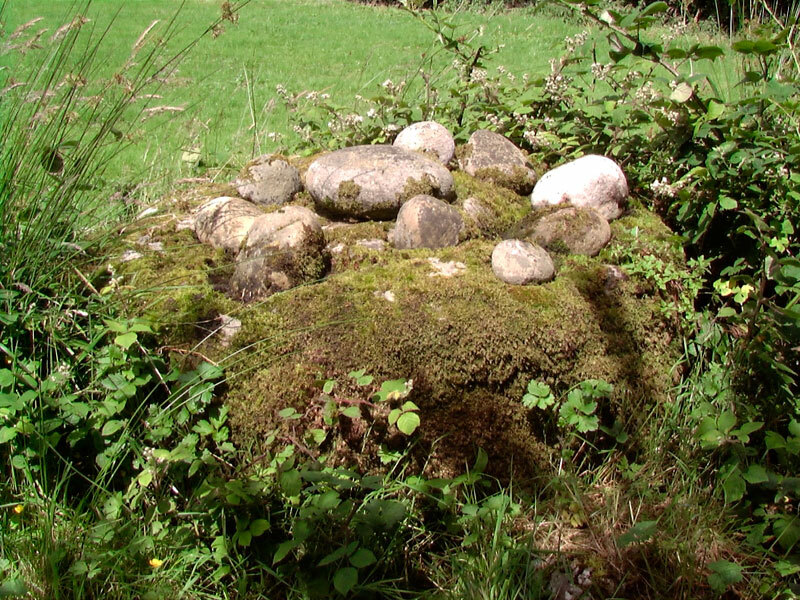 Brigid’s Altar.” Between these and the ruined church is a holy well, dedicated to the same saint, likely a Christianized divinity known for her associations with water and fertility.8 The holy well also is in a state of ruination. 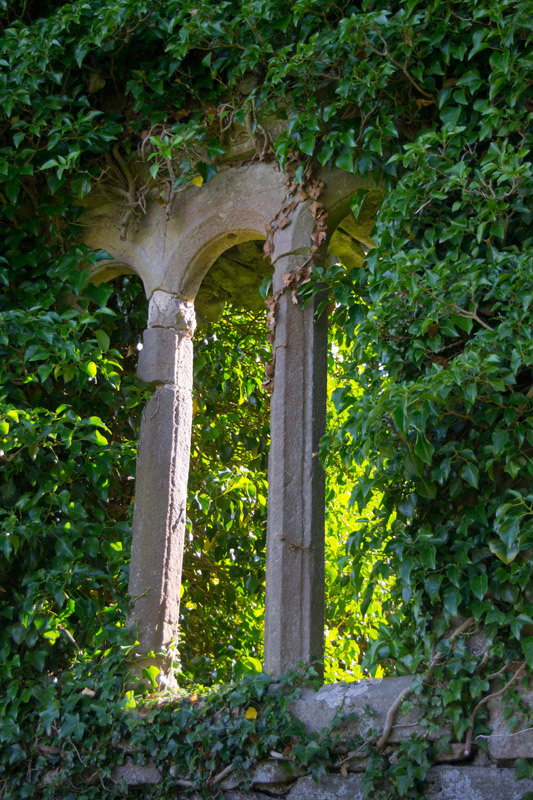 While it may once have had a small building on it, it can now barely be located as an area of wet ground inside a nettle-filled copse. 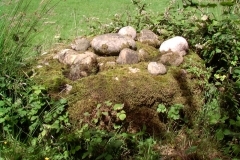 In the same field is a mound that has been described as a megalithic tomb. It is known as the “Queen’s Grave,” or as “St. Brigid’s House.”9 It is certainly tempting to think that these sites are all related in some fundamental way, aside from their geographic proximity. 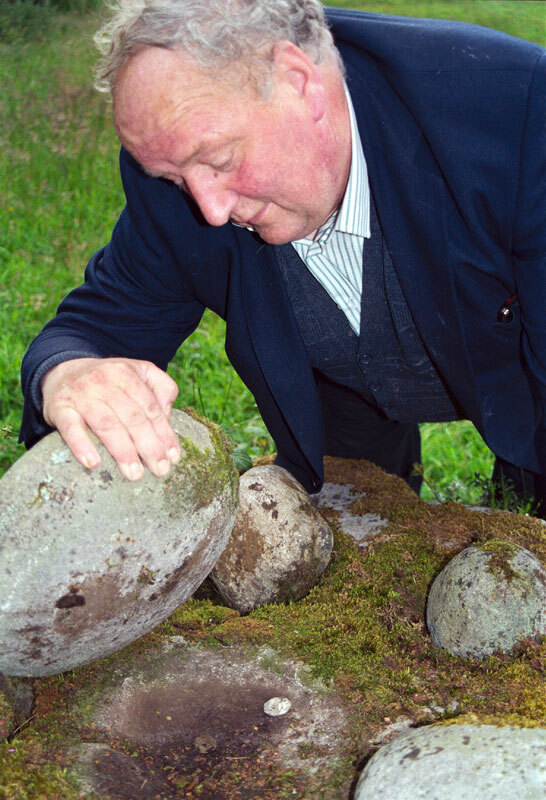 Was there a long-enduring folk memory of the person buried at the megalithic tomb? 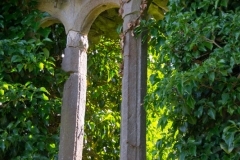 Did this influence the placement of the cursing stones and later the church and holy well, even though they might be separated by a thousand years from the tomb builders? All these related sites may be explored by using the hotspots in the virtual-reality environment (above, right). 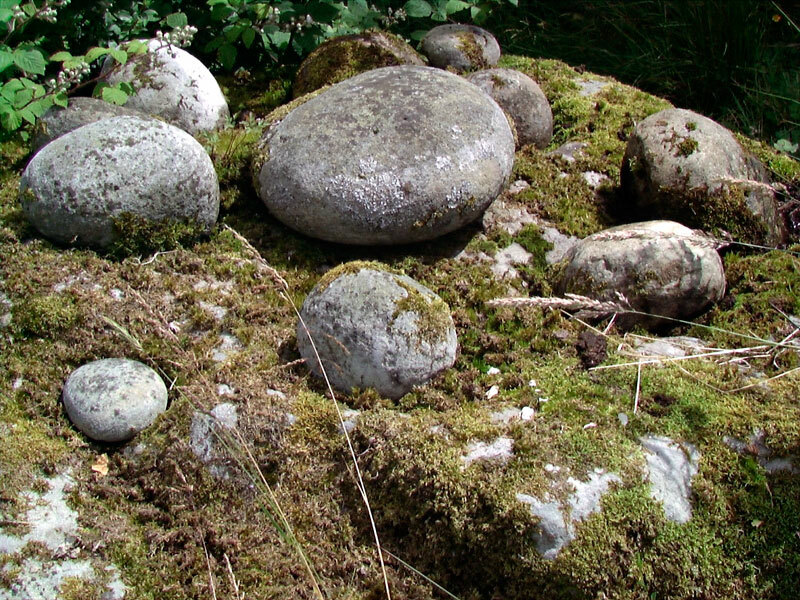 Bullaun stones are discussed in more detail on our page about the Kilmalkedar Keelers Stone. Sketch by William Wakeman, 1875. 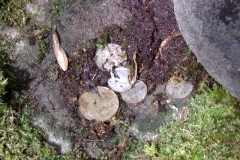 Click to see the two heart-shaped "pagan stones" that were inserted into the wall of the church at ground level. They are circled in red in the image here. In 567 CE the Council of Tours mandated Christian officials “to expel from the Church all those whom they may see performing before certain stones things which have no relation with the ceremonies of the Church…” However it is clear that such pronouncements had the effect of absorbing some of these pagan practices into the church’s fold simply by the addition of an image of the Virgin or a relic of a saint. 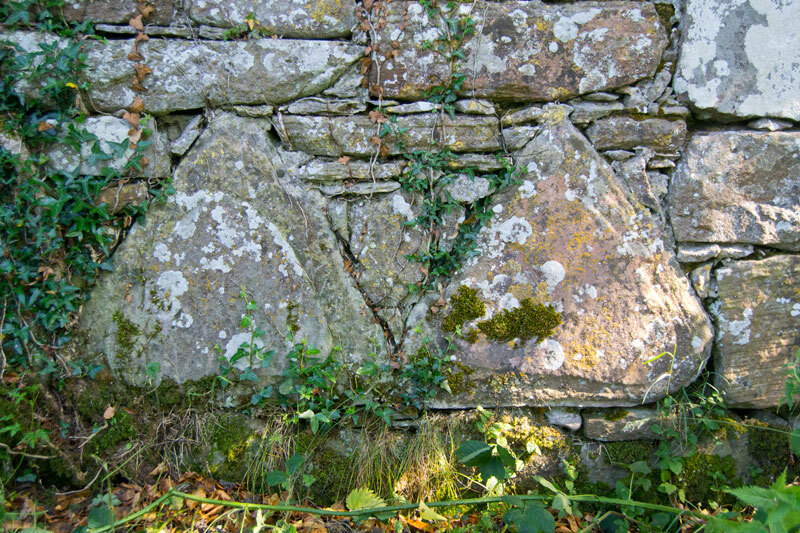 As anthropologist Walter Evans-Wentz put it, after the addition of the Christian iconography the people “beheld in the brilliant images new and more glorious dwelling-places for the spirits they and their fathers had so long venerated.”13 Perhaps this might explain the how these heart-shaped stones came to be set into the wall of the Killinagh church.